The RSN series of base-mounted DC Ammeter/Busbar shunts from Riedon offers current ratings from 1A up to 500A with outputs of 0.05V, 0.1V or custom options available. They utilise a Manganin® resistive element to achieve low resistance values ranging from 100µΩ at 500A to 0.05Ω at 1A (for 50mV Output) and have a standard tolerance of ±0.1%. Resistors are used in all types of manufacturing processes. Custom resistors, precision resistors, surface mount resistors, and high power resistors are only a few types that can be custom manufactured by Riedon. Check out this video to learn more. The RSA series of precision current shunts from Riedon have been especially designed for DC ammeters and similar instruments. These base-mounted shunts offer current ratings from 5A up to 150A with outputs of 0.05V, 0.1V or custom options available. They utilise a Manganin® resistive element and have a standard tolerance of ±0.25% with ±0.1% parts available on request. The very low resistance values required for the shunt resistors, which range.. 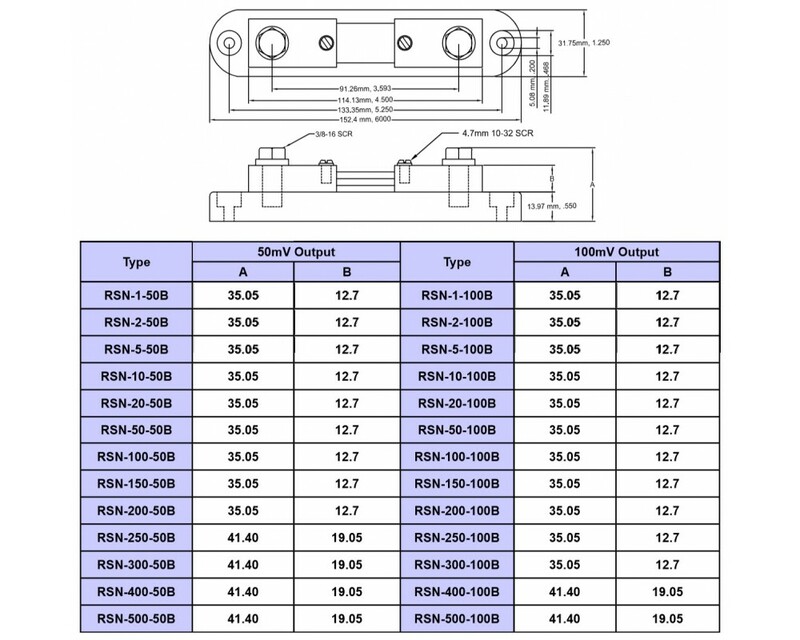 The RSB series of precision current shunts from Riedon have been especially designed for DC ammeters and similar instruments. These base-mounted shunts offer current ratings from 170A up to 600A with outputs of 0.05V, 0.1V or custom options available. They utilise a Manganin® resistive element and have a standard tolerance of ±0.25% with ±0.1% parts available on request. The very low resistance values required for the shunt resistors, which ran.. The RSC series of precision current shunts from Riedon have been especially designed for DC ammeters and similar instruments. These base-mounted shunts offer current ratings of 800A, 1000A and 1200A with outputs of 0.05V, 0.1V or custom options available. They utilise a Manganin® resistive element and have a standard tolerance of ±0.25% with ±0.1% parts available on request. 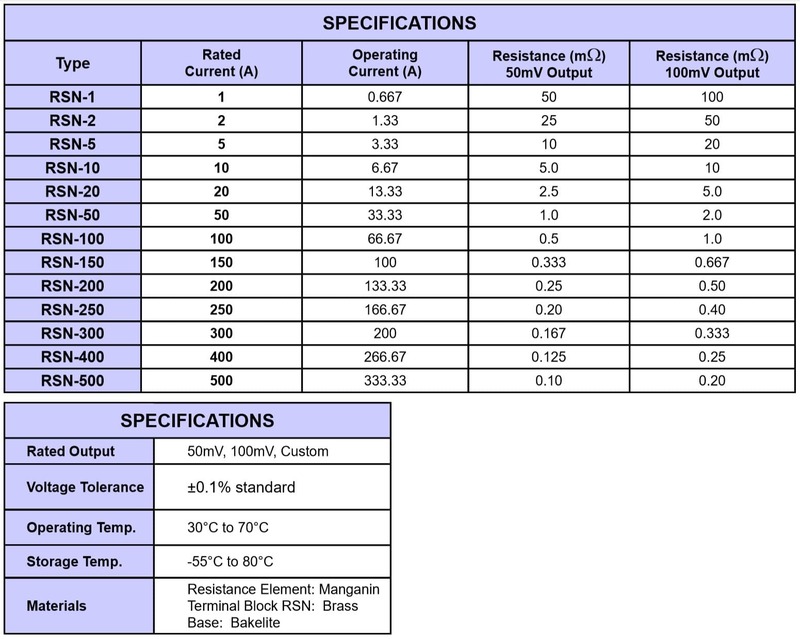 The very low resistance values required for the shunt resistors, which..